Welcome to Never A Dull Bling! 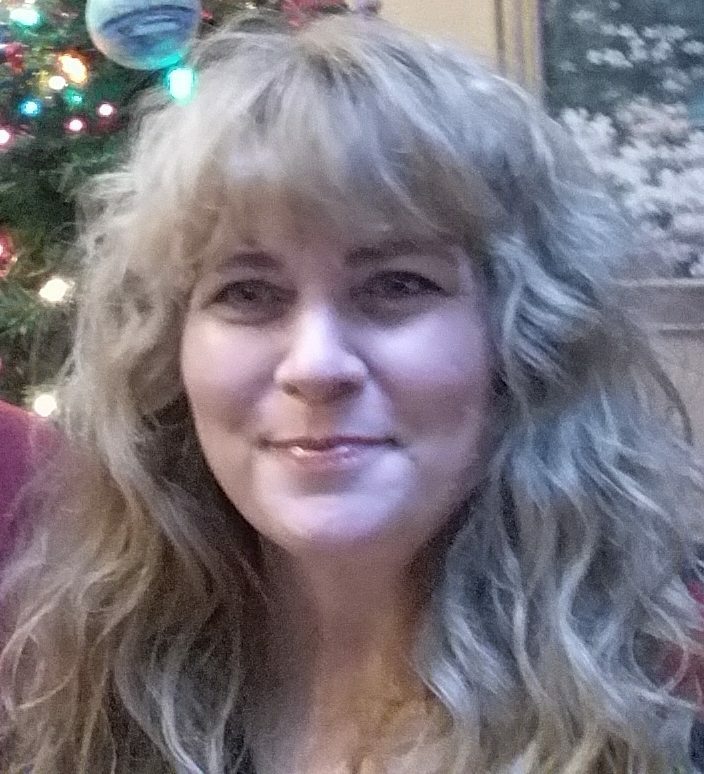 I’m Paula, a 40-something, working wife and mother and am very new to the world of running. I had my first full year of “running” and racing in 2014 in which I managed to complete three 10K’s and three half-marathons doing the walk/run thing, and I am not anywhere near being fast. 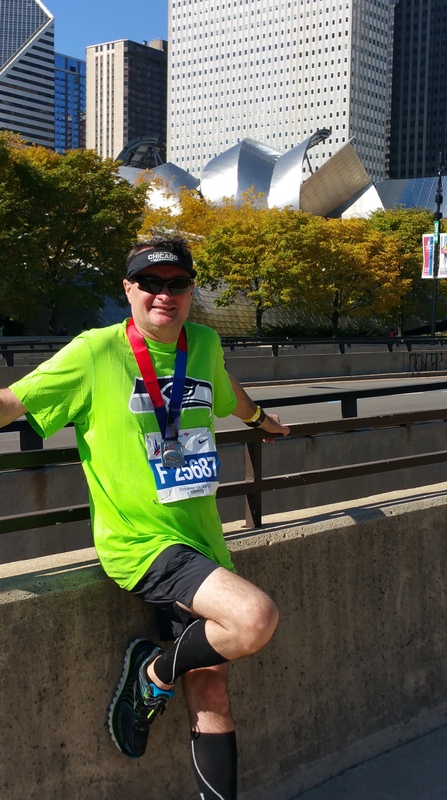 My husband is the real runner in the family with multiple marathons, half-marathons, and triathlons under his belt. I could probably ride my bike along side of him and still barely keep up. He will be contributing to this blog; however, this is mainly my journey. Join me while I laugh, scream, cry, hurt, rejoice, all while trying to live life, lose weight, train, and work on trying to improve that oh-so-slow race pace. Regardless of how much I do or do not actually improve, guaranteed I’ll have lots of fun life adventures, training mishaps and successes, great bling, and race stories to share along the way. My husband, James, aka The Motivat or. We’ve been married since 2000. He started this running and fitness madness in 2011. While I fought it long and hard, the running and healthy-eating habits are now our way of life. He does most of the cooking. He has his own blog, 50 in 50 Marathon Quest. He wants to run a marathon in all 50 states. I’m joining him on his journey by running half-marathons in all 50 states. AJ, our 12-year-old son. He is the light of our lives and will always be my baby. 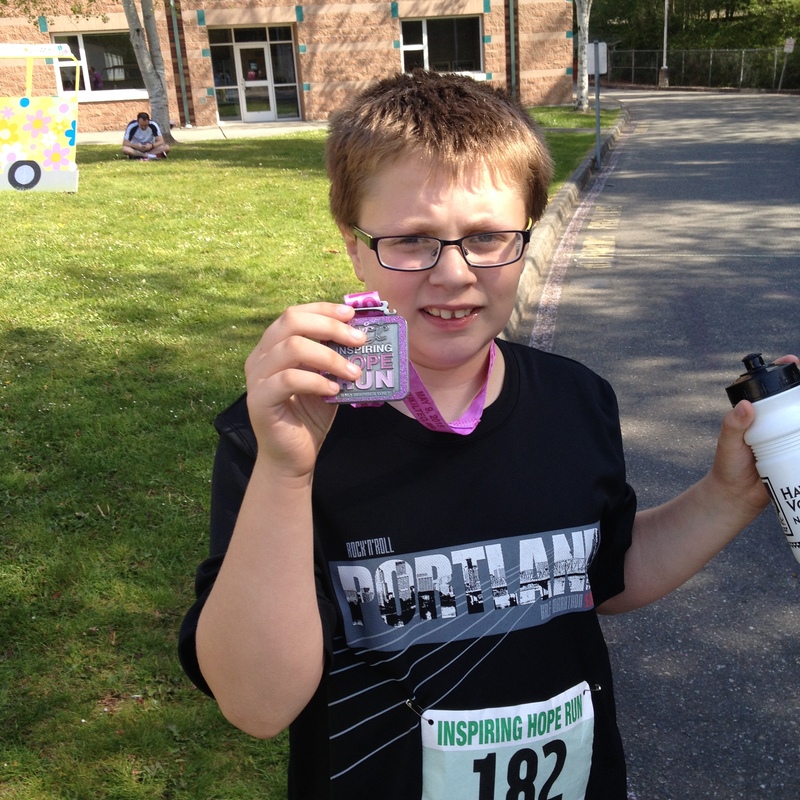 He ran his first 5K in May 2015, the Inspiring Hope Run (he was 10). I didn’t want him to feel any pressure, so we did it together and it wasn’t timed. We still earned some great bling!